distribution Nearly statewide, but practically absent close to the coast. This species ranges over most of the eastern United States. abundance Fairly common to common, and widespread, in the mountains; generally uncommon to fairly common in the Piedmont; uncommon in the western and central Coastal Plain. Only one record for the counties north or south of Albemarle Sound, and no records in most southern coastal counties. Clearly more numerous in the mountains than downstate, with our three highest single-day counts representing each of three such counties. flight A long flight period, covering most of the odonate season. From late March to early November in the Piedmont, and mid-April to mid-November in the Coastal Plain. Surprisingly, the earliest record in the mountains isn't until mid-May, and it occurs to at least early October. 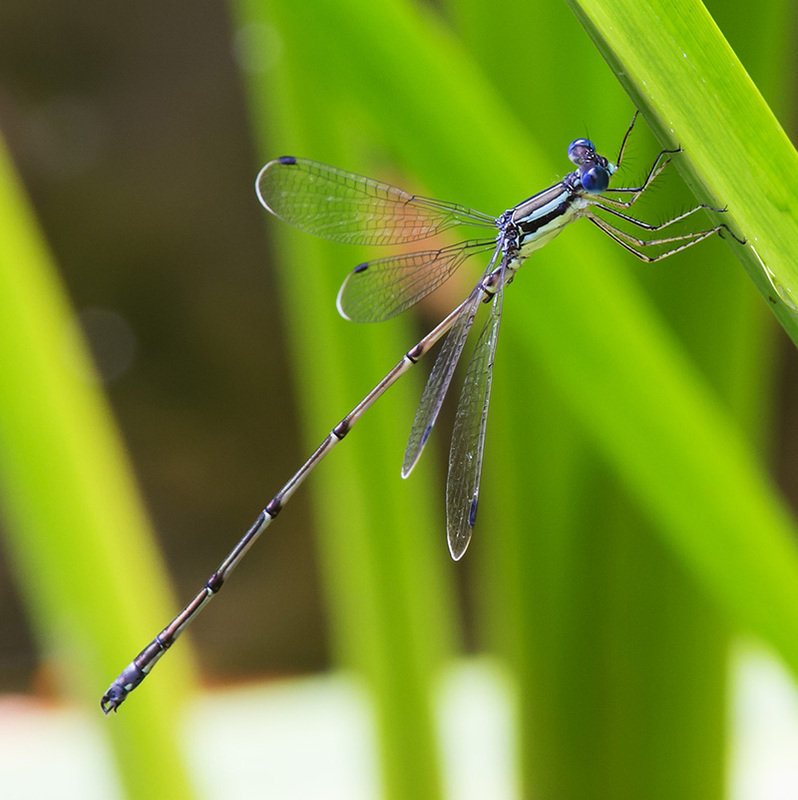 habitat Marshy areas, typically around ponds or lakes, but also sometimes slow streams with emergent vegetation. comments This is one of the more numerous damselflies in the mountains, but it is widespread downstate. Its range in the lower Coastal Plain needs more elucidation, though it is certainly scarce close to tidal water.